Free Pitra Dosha Reasons And Remedies, how to overcome from problems created by Ancestors. Pitra dosha is a major dosha present in the horoscope. In vedic astrology this dosha is taken seriously and rituals or anushthaan to remove this dosha is very important. Many Miseries in our personal and professional life are because of pitra dosha. Pitra dosha is form in our horoscope due to the ignorance of our ancestors by our family members. Here in this article we will see what is pitra dosha and how we are affected by this and what are the remedies of pitra dosha? In case of facing inexplicable problem in your personal and professional life?. If you are facing progeny problems due to miscarriages?. To over come from debt problem. In case you are suffering from chronic diseases. If there is ungraceful environment in your family. In case of loss of business. If you are not getting the proper growth in your professional life. If there is delay in your marriage. If there is a dissatisfaction in your marriage life. Then there may be pitra dosha in your kundli. This is not a misleading thought but this is very true. In my profession I faces different types of horoscopes daily and in most of the horoscope i found pitra dosha of different kinds and due to this their life are affected in various ways. If our ancestors are not getting the right stage after death and if their expectations are not getting fulfilled by the family members than this dosha arises in the horoscope of new born babies of that family. In other word we can say that if the ancestors of any family not get peace after death then pitra dosha arises. There is another though which tells us that if we not offer water and food to our ancestors time to time, if we ignore our ancestors then pitra dosha arises. In horoscope we find pitra dosha by studying the positons of sun. If sun is affected by any negative planet then the horoscope has pitra dosha. A very Important question is that why pitra or ancestors not get peace after death? There are various reason for this like as unnatural death, death in early age, Unfulfilled wishes or desires. In this type of conditions the soul gets wandered here in there in search of salvation and they also they expect from their family members that they must do something for their upliftment. Read about Facts Related With Shraadha Paksh or Mahalaya or Pitru Paksh. Due to pitra dosha many types of serious problems arises in family like as grief due to unnatural death of family members, Premature delivery, death of children or baby, chronic diseases, problem in marriage life, clashes in family members, dissatisfaction in every part of life. In spite of hard work person is unable to get the right result. Children faces problem in getting right education smoothly, younger faces problems in getting right jobs in spite of having good qualifications etc. If there is pitra dosha in horoscope or if anyone faces the above said problems then he or she must go for right remedies for this. Do shradhha/ pinddaan and tarpan on the pitra paksha or mahalaya which comes ones in a year for 15 days. At the time of mahalaya don't forget to offer food and water to the ancestors. Donate food and water to cows, dogs, crows and the needy beggars etc. Do Tarpan on every Amavasya and donate the punyas of your rituals or pooja to your ancestors on amavasya and pray for their upliftment. Remember your ancestors or pitra in every auspicious occasions and celebrations in your family. Alwys give respect to your elders. Do shiv Aradhna regularly which will give peace to you and your ancestors too. 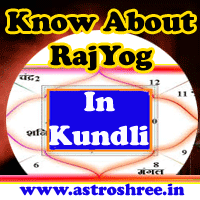 It is also possible that problems in life occurs due to any other doshas in kundli so it is good to consult good astrologer for proper analysis of horoscope/kundli/birth chart and then adopt remedies under the guidance of astrologer. Free Pitra Dosha Reasons, Effects And Remedies of Ancestors problem, Why ancestors not get peace after death?, Ways to remove pitra dosha, Ways to get success in life.